RESIDE WITH THE ULTIMATE VIEWS OF THE DOWNTOWN MIAMI SKYLINE, SAILBOAT BAY & CRUISE SHIPS! 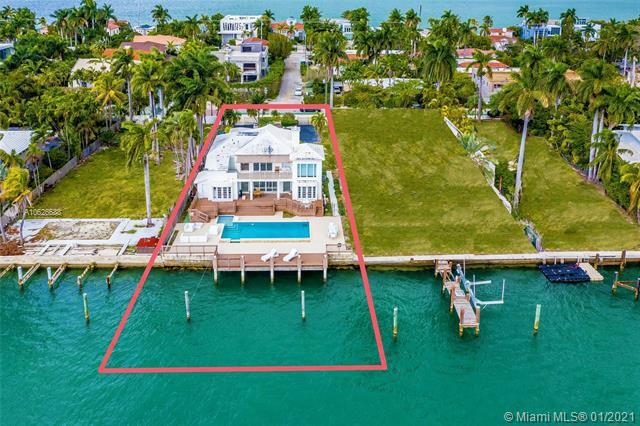 Buy this stand-alone 12,250 Sq Ft LOT with 70 Ft of Waterfrontage or COMBINE with adjacent TWIN LOT for an opportunity to BUILD a Mega Estate Overlooking the OPEN WATER of the Biscayne Bay & City Skyline with a total of 140 Ft of Waterfrontage & 24,500 Sq Ft of Land. The Southwest Exposure allows for lots of Natural Light all year round and the Perfect Sunsets! Located in the hip Venetian Islands just seconds to South Beach, Sunset Harbour & Lincoln Road and minutes to Downtown's Performing Arts District, Wynwood & the Design District.